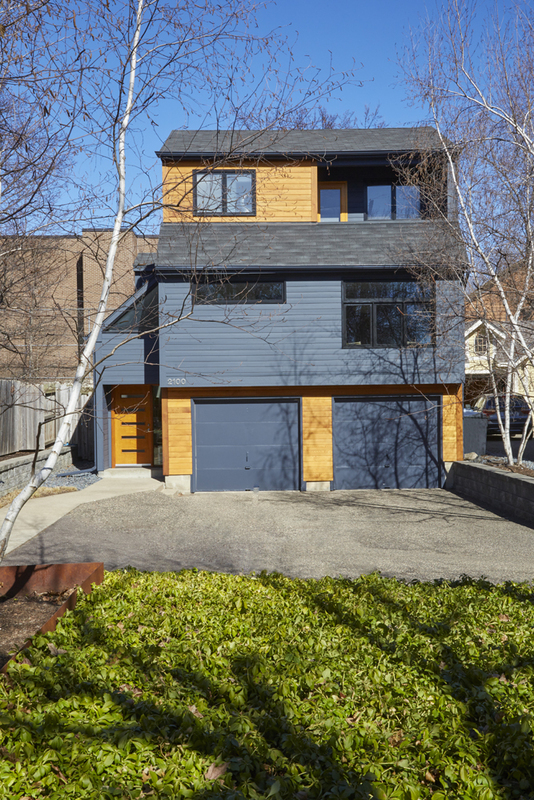 The front of this home was updated with new windows on the kitchen level and a mixture of stained/painted cedar siding. 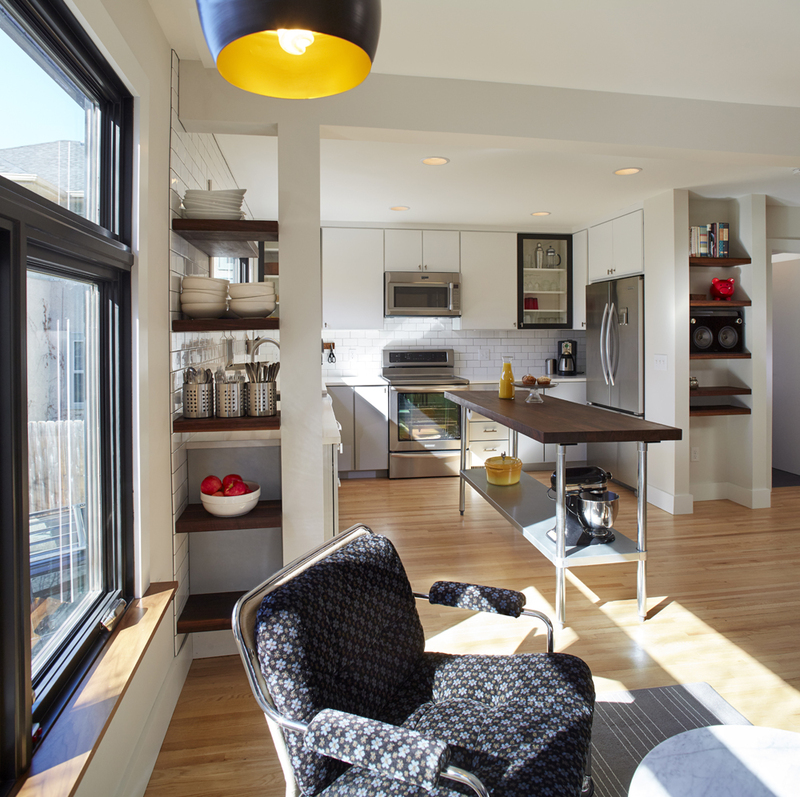 Inside, the new kitchen cabinets were painted grey and white. 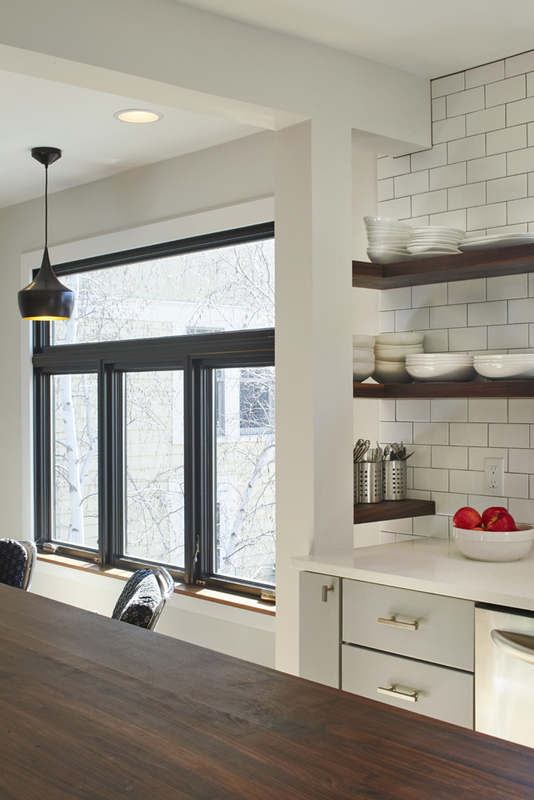 Glass cabinet doors with black trim mimic the new windows. 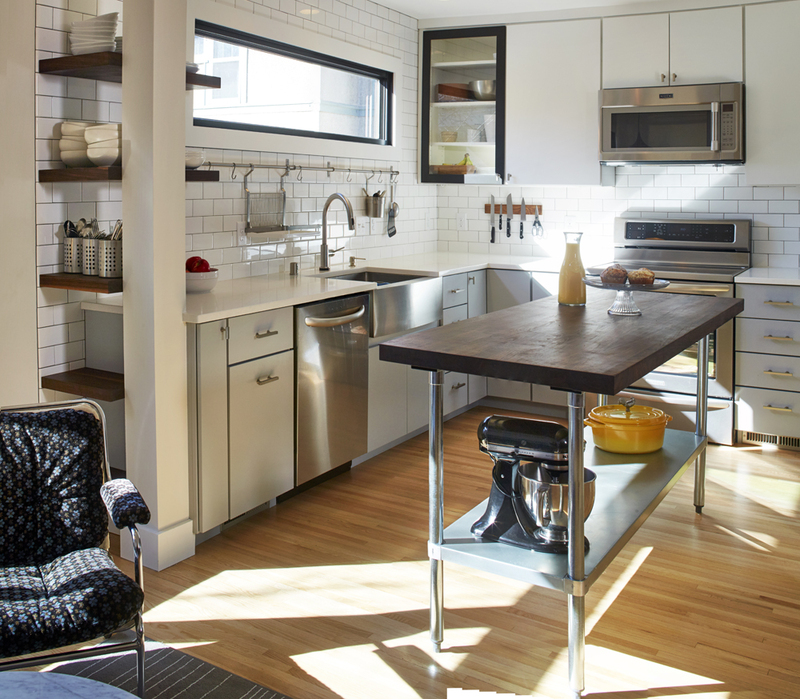 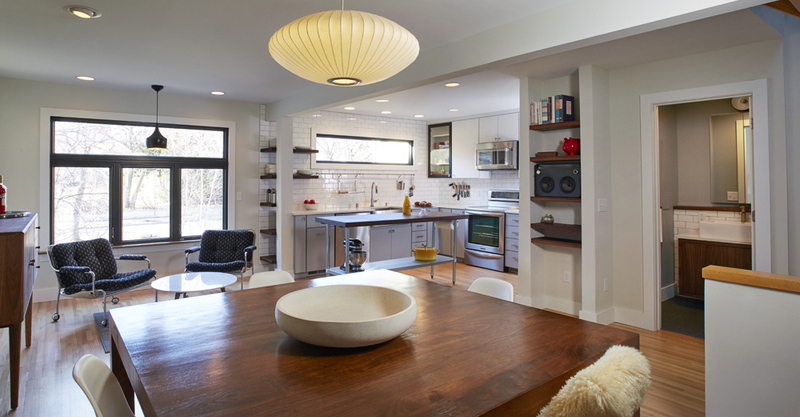 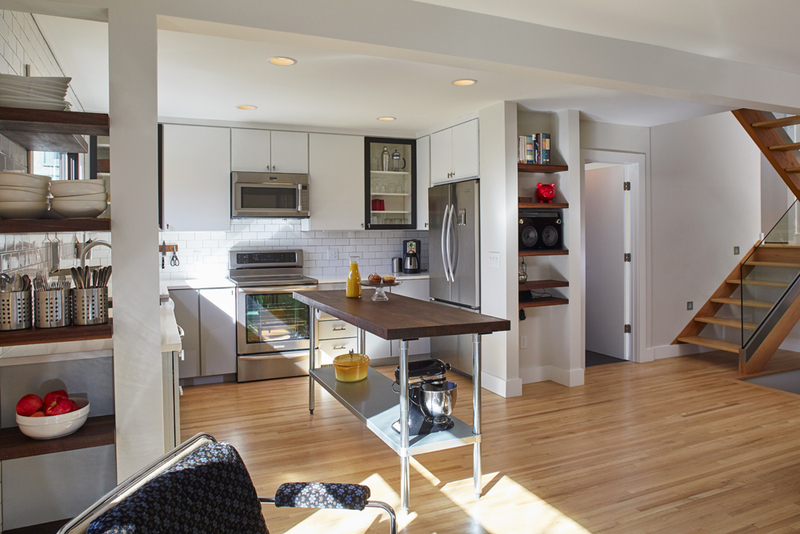 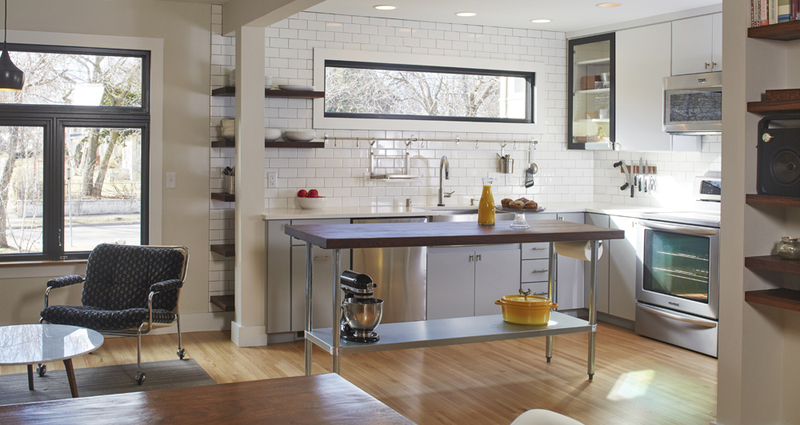 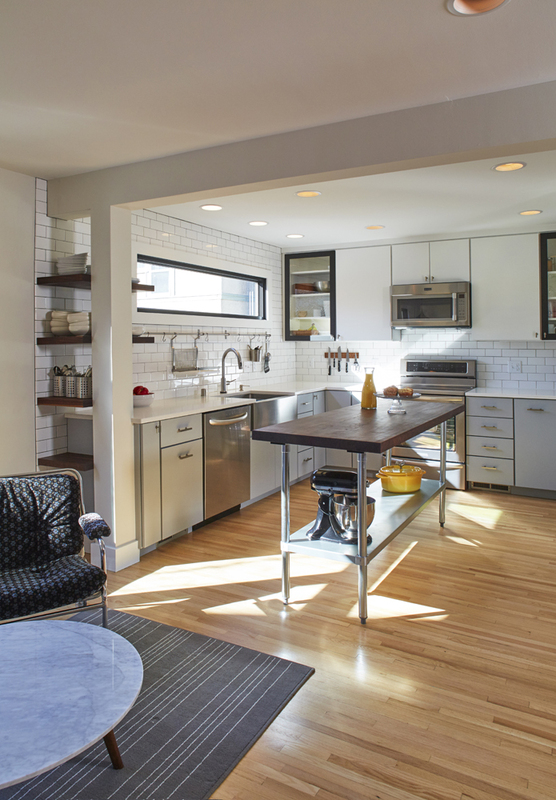 White subway tile and quartz countertops keep the room bright. 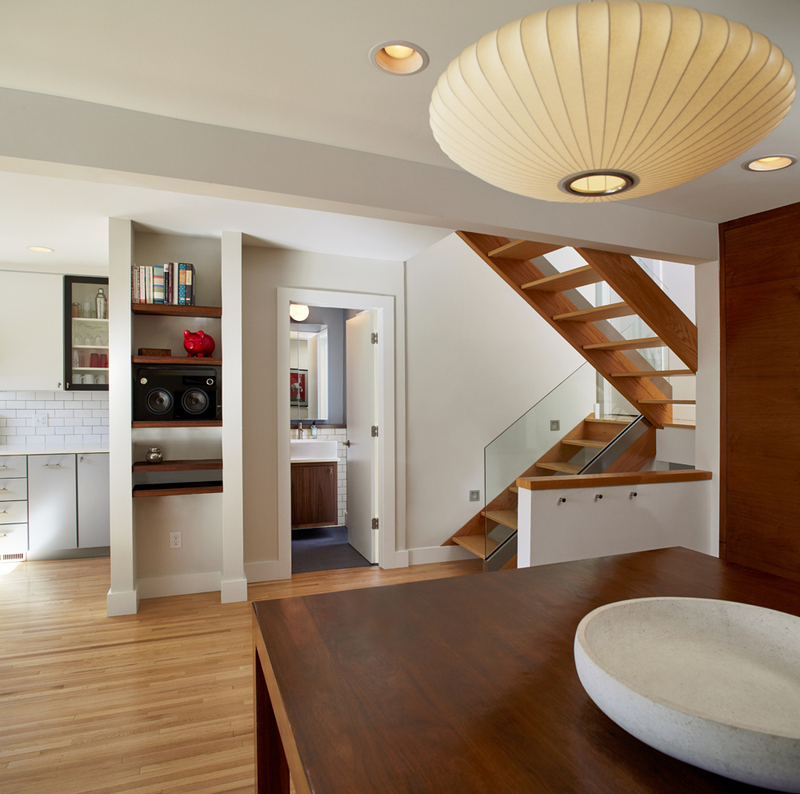 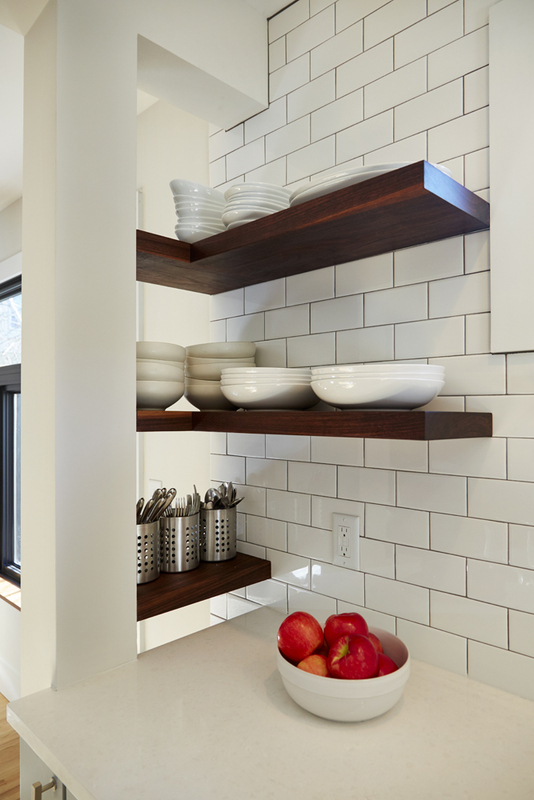 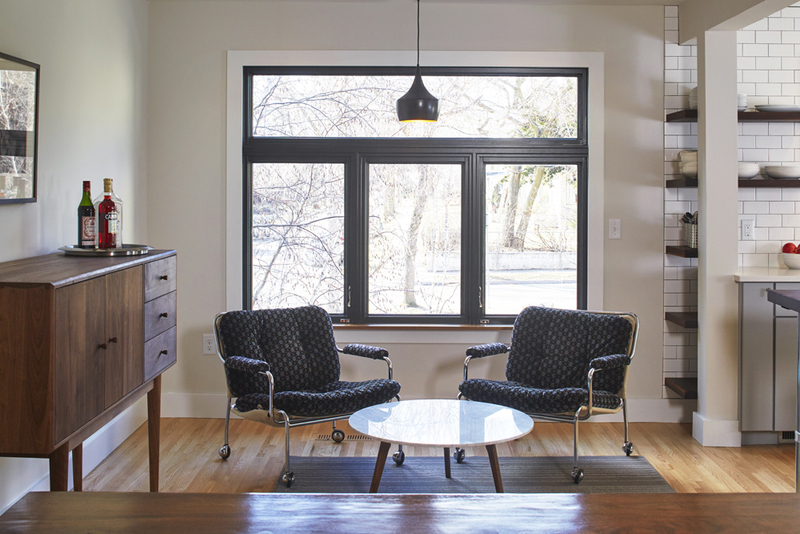 The modern design is grounded with floating walnut shelves in the kitchen, lounge, and media drop zone and a walnut window stool in the lounge. 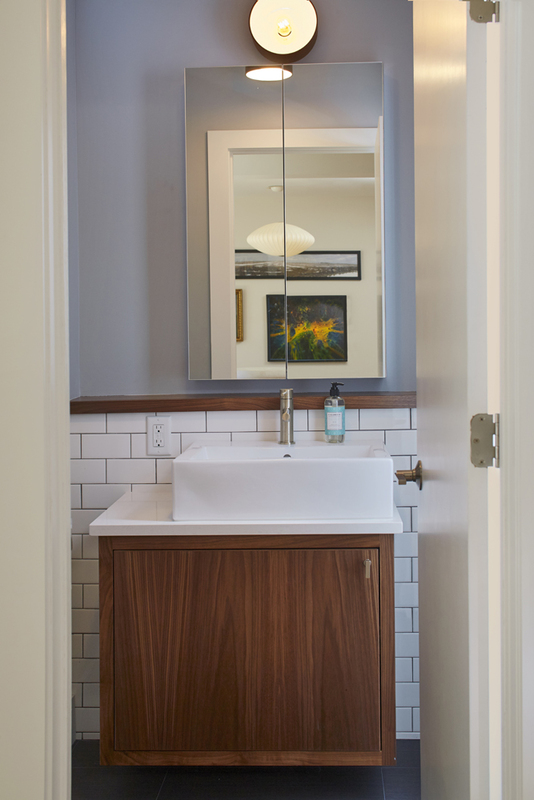 The warm wood tones also appear in the reconfigured ¾ bath, where a walnut floating vanity and ledge complement the classic white subway tile. 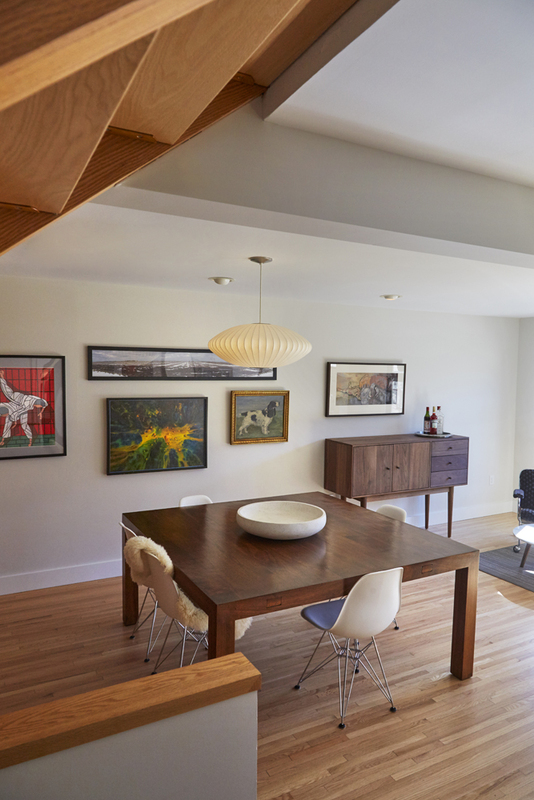 This project, with its uniquely paired elements, demonstrates that bright and modern does not have to mean stark and cold.